A blog I wrote that was posted on this site a few weeks ago described my early encounters with the Steiner movement after I enrolled my son at one of their schools. I explained how the more experience I had of the school, the more uncomfortable I became, until one day, after a particularly troubling incident, I phoned the school to tell them that I no longer considered a Steiner education as suitable for my son. That is where I left off, but unfortunately there’s more to tell. They tried persuading us to stay, explaining that it can take up to a year for some of the children to settle. That should have been the end of our association with Steiner Waldorf schools, but unfortunately we had bought a house near the Steiner school our son had attended and over the following four years many Steiner Waldorf families moved to the same location. Thus we unintentionally found ourselves living in a Steiner community. How my family dressed, the food we ate, how we spoke, how we moved, the type of toys our children played with, whether we watched television, whether we had our children vaccinated, what car we drove, even the fuel we put in the car — all came under intense scrutiny. The behaviour of some of the children (and parents) became so worrying that it forced me to look further into Anthroposophy. It was the impression they gave of superiority, particularly the euphemistic new age language they used that produced disquieting echoes of my previous studies. I remember typing a search into google “Steiner and Nazism” and discovering the research of Peter Staudenmaier, and everything profoundly fell into place. Dr. Staudenmaier had recently completed his Ph.D. at Cornell. The title of his thesis is “‘Between Occultism and Fascism: Anthroposophy and the Politics of Race and Nation in Germany and Italy, 1900 – 1945.” Any parent who is considering a Waldorf school should read Staudenmaier’s invaluable work. We eventually moved away and I thought I had put the whole experience behind me until I was alarmed to read that the then Education Minister Michael Gove was keen to fund Steiner schools under his ‘Free Schools’ policy. Now, 6 years later, there are four state-funded Steiner academies in England. This is a travesty in itself, but without the concerted campaign that was launched to expose the truth about the movement, there would likely have been far more. The process by which those four schools were established, and the subsequent campaign opposing their establishment, merit a blog of their own. 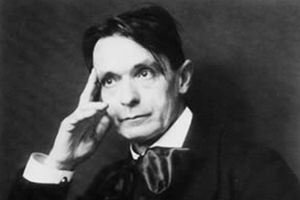 The public should know that little or no independent research supports Steiner pedagogy; praise for Steiner schools comes predominantly from within the Anthroposophical community. The notion that Steiner’s emphasis on the delay in formal reading is in line with early years policy in many other European countries is misleading. Steiner’s instructions for delaying reading were due to his stated belief that early intellectual development hampers the child’s spiritual growth and that Waldorf teachers should await the birth of the child’s etheric body, indicated by the cutting of the adult teeth. Steiner Waldorf schools state that Anthroposophy is not taught to the children, but this statement is disingenuous. Anthroposophy underpins every aspect of the pedagogy in Steiner schools. If I and others had known that the self-described “fastest growing education movement in the world” has given rise to a survivors group and Waldorf critics across the world, we might have been able to make an informed decision before enrolling our children. Making an informed decision about these schools is further obstructed by the Steiner Waldorf movement actively suppressing attempts by parents to make their concerns public. A document discovered a few years ago from the Swedish Steiner Waldorf Federation states that they employ an individual to “monitor the debate” here in the UK. The individual has previously appeared on various forums including Mumsnet, the Times Educational Supplement forum, and the BBC education forum using a number of aliases including posing as a mother. He has previously used intimidating behaviour including threatening legal action unless problematic discussions of the schools were deleted. I am also told that he has published the names and locations of parents who have raised concerns, behaviour one would not normally expect from a school movement. It is a somewhat disturbing experience watching your words of support almost instantly disappear online due to the repeated misuse of litigation, especially the threat of litigation against any form of criticism. I strongly believe that those responsible at the highest level in education have a duty towards the children involved to undertake an urgent investigation into the Steiner Waldorf school movement. This is an edited and updated version of a piece that was first published on the Waldorf Watch website under the name ‘Coming undone: unravelling the truth about the Steiner school movement’.